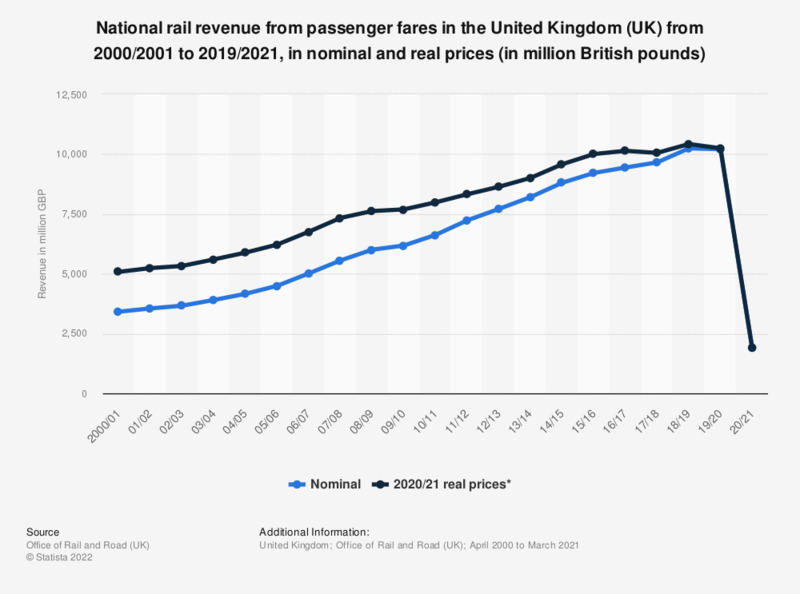 This statistic shows the total revenue for the United Kingdom (UK) national rail service between 2000 and 2018 showing both annual prices and real prices*. Consistent and strong revenue growth can be seen in both annual numbers and real numbers. In 2017/2018, the total revenue for national rail from passenger fares was nearly 9.7 billion British pounds. * Adjusted to 2017/18 prices using the GDP market price deflator. According to you, what was the railway accident occurred on January the 25th 2018* due to?